Xiaomi Mi TV 4 and Mi TV 4A range of smart TVs will go on sale once again today at 12pm. As always, interested buyers need to head to Flipkart and Mi.com to try to get their hands on the new Mi TV 4 or Mi TV 4A models, depending on which suits their requirements best. Those wanting to try their luck offline can go to a Mi Home store at 12pm today as well; stocks are likely to remain limited via both online and offline channels. Those buying from Xiaomi channels (and not Flipkart) must remember that this is a prepaid sale, and they will not have the Cash on Delivery option. Notably, this is the first Mi TV flash sale since Xiaomi added Hotstar support to its smart TVs late last week. The 43-inch Mi TV 4A price in India is Rs. 22,999, while the 32-inch Mi TV 4A will be available at Rs. 13,999. As for launch offers, the Mi TV 4A models come with Rs. 2,200 instant cashback with a JioFi connection. 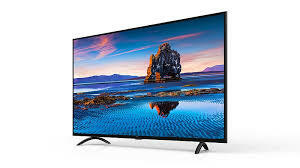 In terms of specifications, the 43-inch model sports a full-HD (1920x1080 pixels) display while the 32-inch model has an HD (1366x768 pixels) display. Both display panels have a 178-degree viewing angle and 60Hz refresh rate. The two Mi TV 4A models are powered by an Amlogic quad-core SoC that's coupled with 1GB of RAM, and come with 8GB of internal storage. The Mi TV 4 price in India is Rs. 39,999, and has a 55-inch Ultra-HD display. As for launch offers, Xiaomi had announced that buyers will get free 3-month subscriptions (worth Rs. 619) to Sony Liv and Hungama Play, the Mi IR cable (worth Rs. 299), and on-site installation worth Rs. 1,099 for free. The 11-button Mi Remote that's bundled with the TV can be used to control a set-top box apart from the television itself, using the Mi IR cable priced at Rs. 299. In terms of specifications, the Mi TV 4 model has a LED display with 4K (3840x2160 pixels) resolution and HDR, and measures only 4.9mm in total thickness. Notably, the panel offers a viewing angle of 178-degrees and has a response time of 8ms. The TV is powered by a 64-bit quad-core Amlogic Cortex-A53 SoC clocked up to 1.8GHz, coupled with Mali-T830 graphics. It comes with 2GB of RAM and features 8GB of storage. It also features Dolby+DTS Cinema Audio, with two 8W duct inverted speakers, as well as Xiaomi's AI-powered PatchWall UI that has been redesigned for the Indian market. The PatchWall UI offers personalised recommendations and universal search. Xiaomi says its TVs offer over 500,000 hours of content, of which 80 percent will be free content from partners like Hotstar, Voot, Voot Kids, Sony Liv, Hungama Play, Zee5, Sun NXT, ALT Balaji, Viu, TVF, and Flickstree. Content in 15 Indic languages will be available.